Love Light: This Valentine’s Day, enjoy an indulgent but good-for-you feast at Limewood. 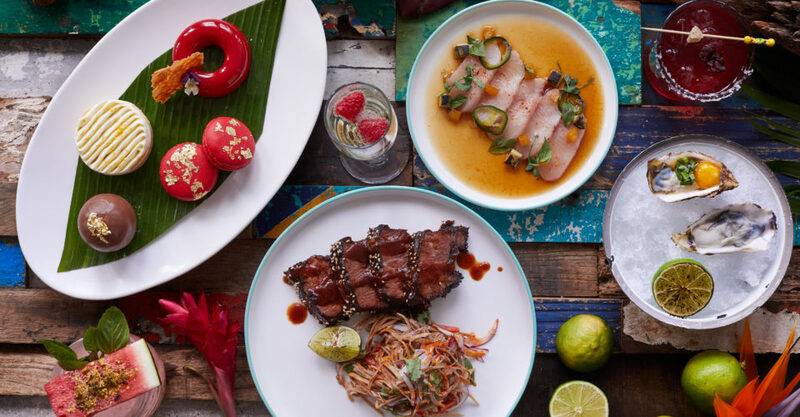 The Repulse Bay restaurant is offering beach vibes and an island-inspired four-course menu ($400) that offers a hearty meal with lighter options. Start with fresh oysters and sustainable yellowtail crudo, then tuck into the 48-hour charred beef ribs. Not feeling the meat? No worries. The equally delicious vegetarian menu features roasted eggplant tartare, burnt avocado with plenty of flavorful toppings, and a tofu and chickpea curry to finish. All diners will finish with a Limewood dessert platter stocked with sweet treats, and can opt for wine pairings ($180).